Over 8.000 shoes and hundreds of pieces of apparel collected over the past seven decades: that is our PUMA Archive. For some 40 years, our “Mister PUMA” Helmut Fischer, amassed an extensive collection of shoes, apparel, marketing material and other unique pieces, such as historic documents, photos and autographs. In order to secure the legacy of our brand, we decided to give our archive a professional makeover in early 2017, using professional tools to archive and capture the entire collection. Shoes have been digitalized with a 3D scanner and stored so they can be kept for posterity. The database of digitalized shoes and footage now serves as a search tool and an instrument for digital long-term archiving. This is important, because the corporate archive can serve as a pool of ideas for future collections. So far, we have reinvented eight historical shoe models, among them, for example, the visionary PUMA Running System shoes with the RS Computer. I have been a collector my entire life. Autographs at first – of course. When I came to PUMA in 1978, there was a small room where all those shoes were just lying around, and nobody knew what to do with them. I asked if I could take care of it and nobody disagreed. The aim of the PUMA Archive is not only to store the shoes and textiles that embody PUMA as a brand and inspired sports and culture, but also to secure the legacy of our greatest PUMA athletes. That’s why we are conducting a series of interviews with contemporary witnesses from the worlds of football, track and field or basketball, to talk about their careers and memories with PUMA. 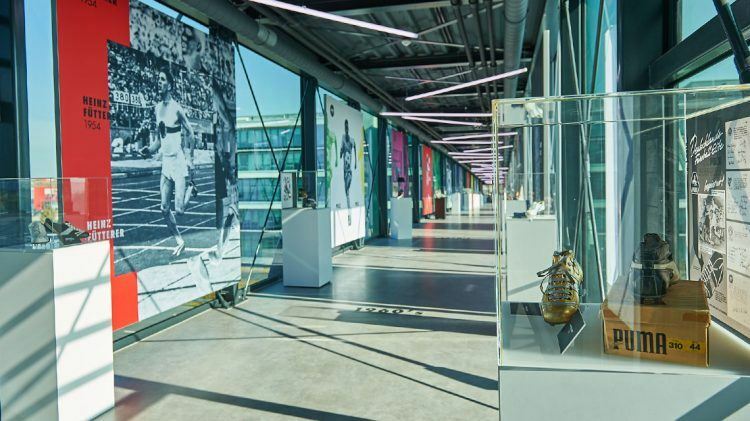 In March 2018 the Archive that was previously located at Würzburger Straße in Herzogenaurach, moved into the newly built NOHO building at PUMA’s Headquarters. There the archive has 220 m² (2400 square feet) of space with 580 meters of shelves. How to read the game ahead of others?